Tell NY Times Writers: Workers and Their Unions Fight On! It sure seems funny to me, that a newspaper that has recently tangled with it’s own union, The NY Newspaper Guild, over cutbacks and job security, as well as pension and health care responsibilities, (BTW the NY Times lost: http://www.newsguild.org/node/2730) should just randomly print an opinion piece so one-sided, so condescending towards workers, with so little information about the thousands of fights for worker justice and labor unity going on around the world as we speak. Mr. Davidson pretends that somehow this low point for the unions and workers is just some natural progression of global forces of an economy that sources goods and employees from wherever they are cheapest. He even quotes Gary Chaison, “a labor-relations specialist from Clark University,” who he quotes as saying, “There’s no way of really dealing with the global impact. There’ s really very little you can do.” Davidson goes on to mention that a post-union world, without collective bargaining would bring the vulnerability of individual bargaining. This trip back to every worker alone, at the mercy of a kindly manager, or a nasty one, would surely lead to greater income inequality and in the end, former union organizers, such as the workers profiled at the start of this article, would likely end up thinking only for their own advantage, back in the dog-eat-dog world of Gilded Age Capitalism, but now merged with the corporate world’s ability to manipulate and bend government regulations around the globe to their profit-driven will. We are one small group in NYC, running a worker/labor film festival out of NYC, interacting with hundreds of labor activists, both locally, nationally and globally. While some of the attacks on workers and labor Mr. Davidson details are undeniable, all the workers and their labor groups that I come in contact with are committed to fighting even harder, smarter and longer to make sure that the “dystopian future of inevitable worker misery,” which Davidson envisions, rightly so, is the left’s view of a union-free future, will never happen. 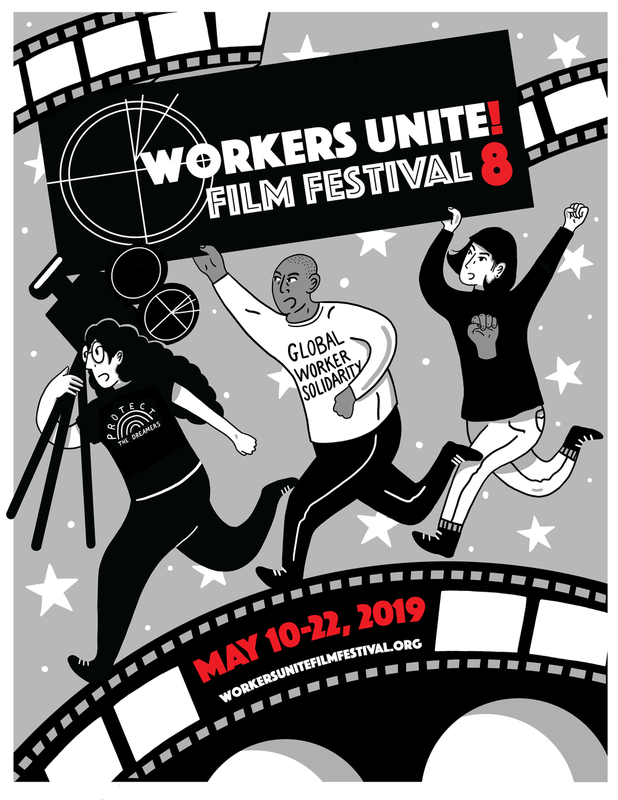 One of the major reasons for the Workers Unite Film Festival and over 25 labor film festivals around the world, is to help counter exactly this type of defeatist and distorted view of the whole worker/labor union problem. As even Bloomberg.com, the business website explained, http://www.bloomberg.com:news:2013-01-23:the-real-reason-for-the-decline-of-american-unions.html), in an article by Kris Warner on declining union numbers in the US, it was not some magical drift towards anti-unionism by workers at all that cut union membership. In fact, when any polling of workers was done, time and time again it showed they would vote for union representation by wide margins –IF THEY WERE LEGALLY ALLOWED TO DO SO. Bloomberg, when comparing the Canadian unionized workforce to that in the US found that union membership was similar in both countries until the late 1960s. Soon after, business sponsored and government supported attacks against the ability of workers to organize and their collusion to prevent the legal rights of workers to use their labor rights, contributed greatly to the low union membership rate in the US. It’s not a mystery friends, we’ve been under an all out assault from business owners for over 40 years. As Kris Warner points out, there is no “right-to-work” concept in Canada at all. There are federal laws to protect all workers rights and every single province has to follow those laws. We must ask ourselves. Why do allow this system of federal laws, The National Labor Relations Act, to be one of the only federal laws that a state can simply decide not to follow. We must organize to enforce this federal law across all fifty states. Acceptance of this is ridiculous and has allowed mostly Southern states, until recently, to draw large-scale manufacturing, particularly automakers, out of unionized states and into unprotected “right-to-work” states. So Mr. Davidson, it is not that there is nothing that workers can do to stem this anti-union tide, but the laws are rigged heavily against us. Even so, I work with and see, every day of the week, successful organizing drives aimed at educating and organizing low-wage workers, most of whom are already not covered by the existing federal labor laws. That’s right! They are fighting from scratch, such as the recently victorious NY Taxi Workers Alliance, recently chartered as the first new national union by the AFL-CIO since the UFW in 1965. The Domestic Workers in NYC are organizing, the Restaurant Workers, there is a huge new push to organize all retail employees, called The Retail Action Project. Across the country: OUR Walmart, continues to do battle with the nation’s largest and most anti-worker employer. Community groups are forming alliances with labor groups to fight for their common issues. Building service employees fight for their fair share from wealthy real estate tycoons, hospital workers from SEIU fight to play a role in the reorganization of the whole health care delivery system. And this is just here in the US. I receive stories and films from workers from China, Bangladesh, India, Egypt, Afghanistan, Turkey, Israel, the UK, France, Columbia, Brazil, New Zealand, Australia, virtually every corner of the globe where workers are exploited by the global corporate conspiracy. In every single one of these countries workers and organizers, who now thanks to the Net and social media are in closer collaboration and discussions than ever before, are fighting every single day to organize and fight for worker’s rights. Those rights, like right here at home, as you yourself have pointed out, are human rights. They are the right to have a fair shake and decent pay for a hard day’s work and not to be chewed up and spit out by the overarching greed of the business owning class. These workers, just like you and me, from every place on this earth do not see the battle as over, not remotely. They are realistic and know this battle will be long and hard. But they know that the alternative is surrendering to a future where it really is every individual at the mercy of those who have the money and power to exploit them. I do not see that happening, not in the near term or the long term. I think that your article and articles like this, which periodically surface to pat their corporate masters on the back, are condescending and clueless as to the reality as it exists on factory floors and workplace centers around the country and around the globe. I invite you to come to the festival this May, see the stories of workers fighting back, organizing and then tell me really if you think all there is for workers to do is to sit tight and accept a future where all their efforts have been for naught. WORKERS RIGHTS ARE HUMAN RIGHTS AND CIVIL RIGHTS. WE WILL FIGHT FOR THEM FOREVER. Locally: Fight back against the firing of 22 union activists at Cablevision. These workers have the right to organize and NYC should force the Dolan's, who control Cablevision, to bargain in good faith.